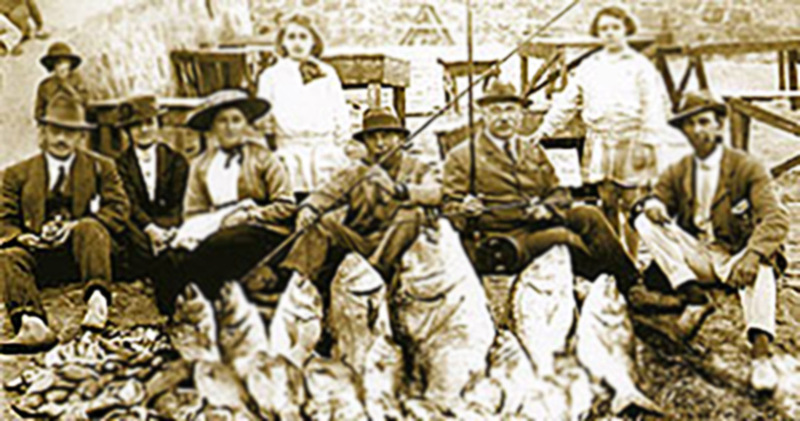 The news of the spring and abundant summer vegetation motivated farming families from the interior and the prolific marine life attracted fisherman as well. 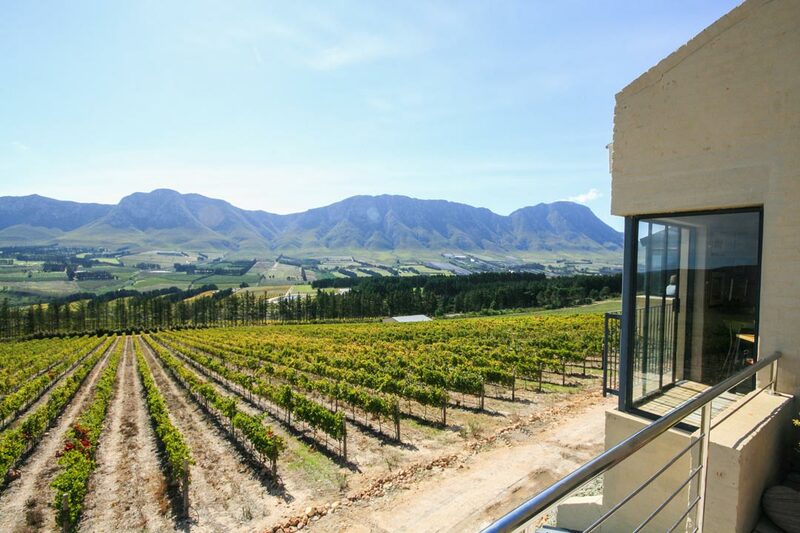 In 1854 Johannes Michel Henn, a prosperous fisherman, bought one of the twelve plots of Crown land situated near Hermanus Pieters’ fountain that was sold at public auction in Caledon for one pound and four shillings each and registered in 1855. He and his family settled in Hermanuspietersfontein and was the first to build a house there in 1857. The local postmaster, Mr.Gift, was complaining about having to write out a long name like Hermanuspietersfontein, therefore he shortened it to Hermanus in 1902. Word of mouth soon took the news of the quint little village’s “Visbaai” (Fish Bay) with its natural harbour and excellent fishing. Large crowds would gather at “Visbaai” (as the Old Harbour was known), to watch the daily event of fish being carried ashore, gutted and sold while the boats were lifted and put on the turning- stone before being carried up the slipway by 16 men. 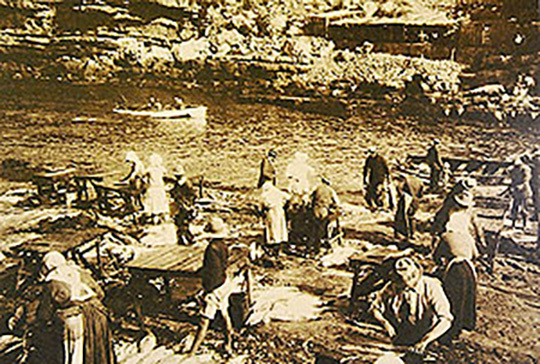 The Old Harbour was a popular shark catching spot and popular form of entertainment and everyone would gather to watch. 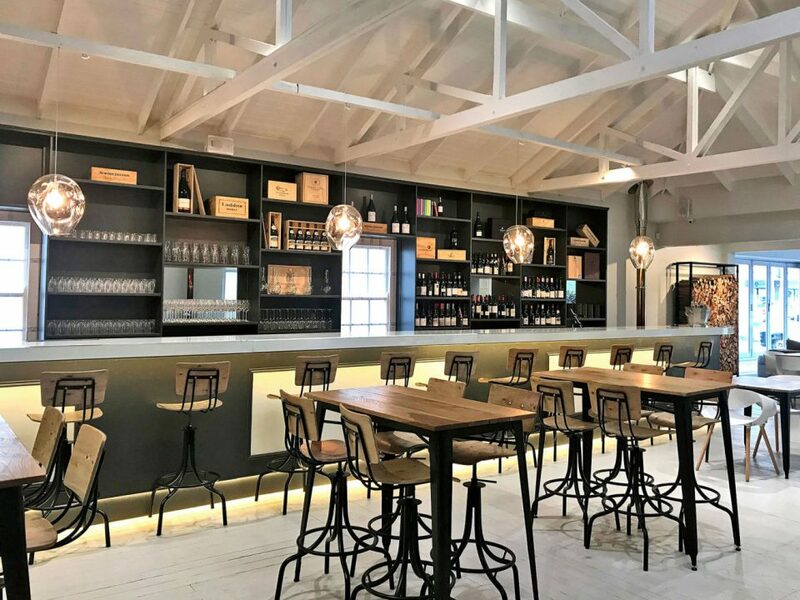 Bill Selkirk, a descendant of Alexander Selkirk aka Robinson Crusoe, was a bait shop owner in Hermanus and well known as the “king of the game-fish hunters.” In 1922 Bill landed a great Blue Pointer shark after five hours with his 12-ft. Cape bamboo rod. The shark was twice the size of anything previously caught on rod and line. Bill Selkirk’s feats were published in newspapers all over the globe and his record shark was featured in full colour in the Illustrated London News. 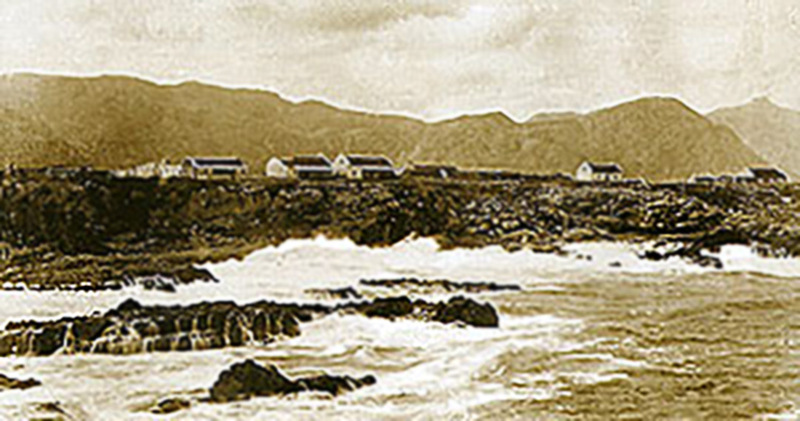 Bill stayed in a fisherman’s cottage on the same plot as which the Old Harbour Hotel is built today. 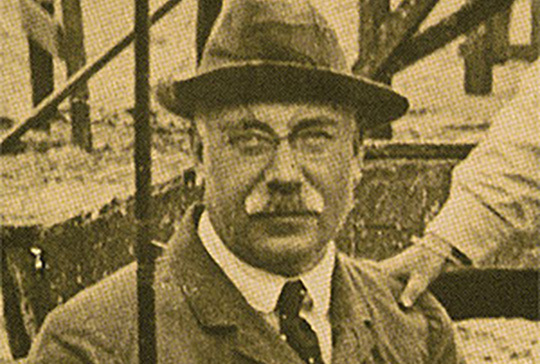 One of the most significant contributors to the “village feeling” of Hermanus is Sir William Hoy, the General Manager of the South African Railways at that stage. 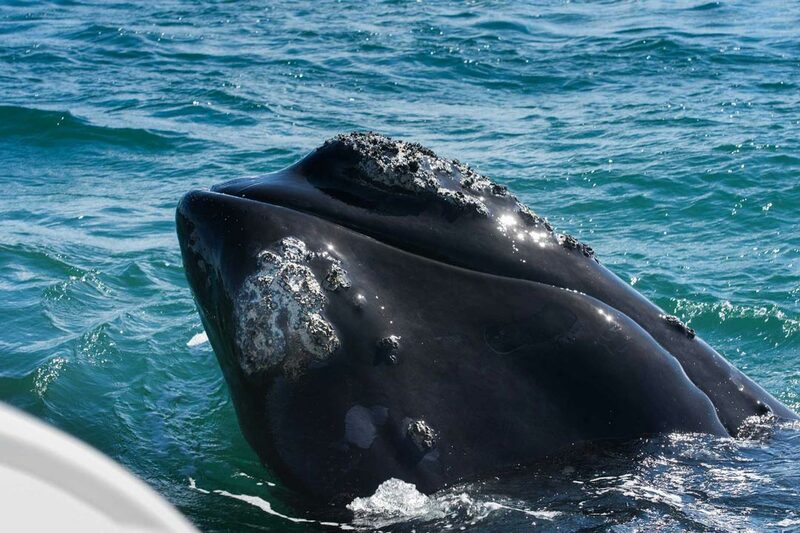 He was a regular visitor to and a property owner in Hermanus in the early 1900’s and ensured that the natural beauty of Hermanus would stay unspoilt by blocking any attempt to extend the Bot River railway line to the village. 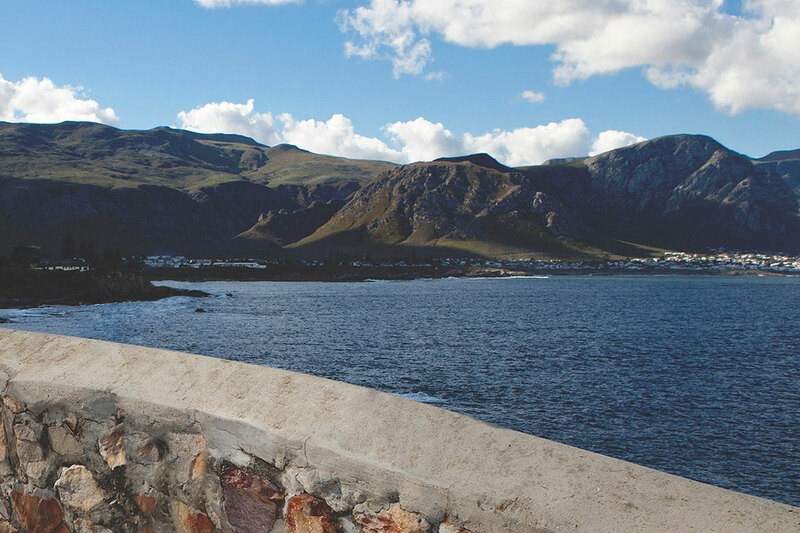 For many years the Old Harbour served as the economic and social hub of Hermanus and it was proclaimed an open-air museum in 1972. *All photo’s courtesy of De Wet’s huis photo museum.